Keep your duplicates from losing their minds by learning how to deal with stress. 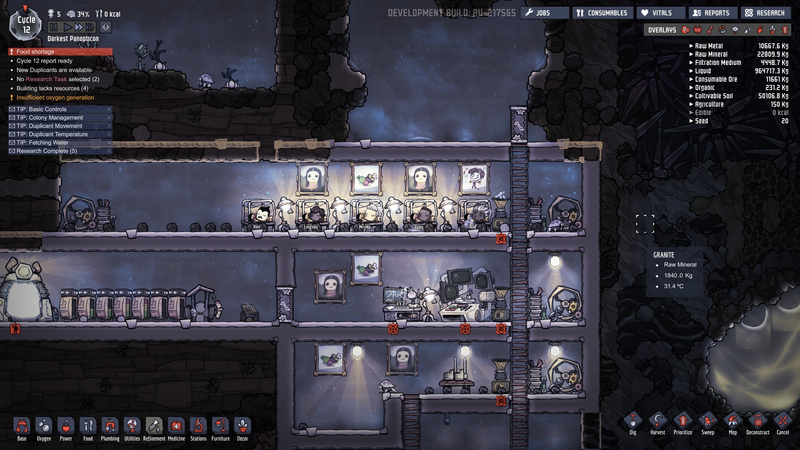 In Oxygen Not Included, it’s important that you can help your duplicates effectively deal with their stress. If you’ve already played a fair amount of this addictive space colony simulator then you probably know the reasons why. 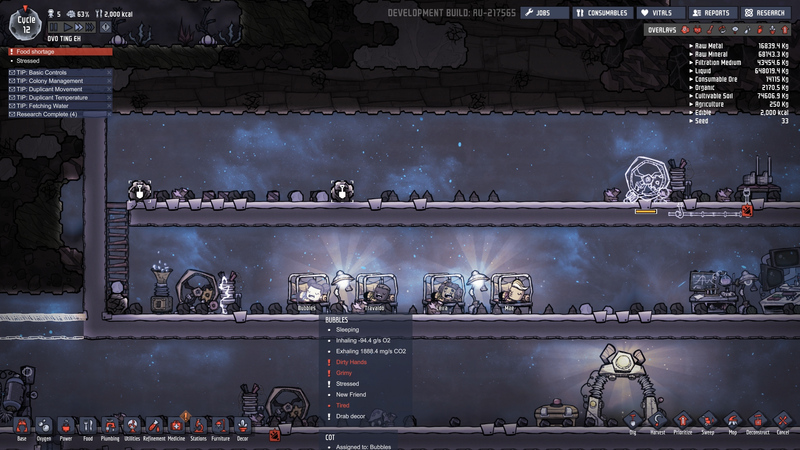 The thing is, duplicates don’t handle high-stress levels all that well and will quickly send your colony into a downward spiral if the situation isn’t immediately negated. 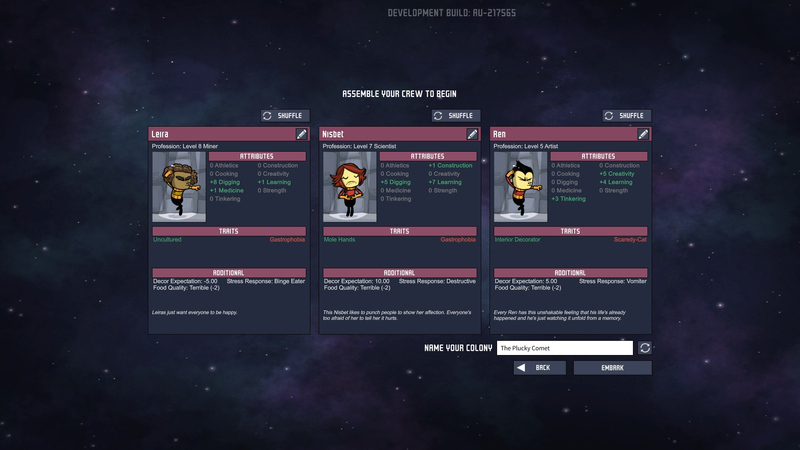 Use this guide to keep you (and your dupes) from completely losing it in Oxygen Not Included. Each duplicate (or dupe) has decor and food quality expectations that you should cater to if you want to keep their stress levels down in Oxygen Not Included. You might notice that dupes with high demands often provide quality work but if you’re still in the early stages, aim for dupes with lower decor and food quality expectations. This will give you time to upgrade more important aspects of the colony without worrying too much about researching agriculture and decor. Also, keep in mind that each time a duplicate levels up, their expectations rise. Despite her name, Bubbles was not a happy camper. We know that not meeting your duplicates’ expectations is one way to increase their stress but it gets much more complicated than that. If you click on a duplicate and look under the Info tab, you might find a variety of status notifications. Anything marked with a red exclamation point is considered a stress factor. You can quickly lower stress levels by tending to these issues. Stress contributors you should avoid exposing your dupes to include disruptive sleep, death, confrontations with creatures, polluted liquid or gas, extreme temperatures, bad smells, vomit or urine messes, low oxygen levels, starvation, and overworking them to the point of exhaustion. Each duplicate should have their own bed and mess table to ensure they can de-stress during those important times during their hectic day. This duplicant will go on an eating spree and leave your colony without any food. This dupe shows no mercy as it destroys everything in its path when stressed. This duplicate is pretty harmless as it mopes around crying everywhere with an ugly face. Get ready to clean because this duplicate will coat your colony with vomit. The massage table is a great asset to any colony. It gives you the option to set the maximum stress level dupes must have in order to use it and the minimum level required before leaving it. This means your dupes will pay a visit to the massage table on their own whenever they start feeling a bit tense. Placing decor such as lights, plants, sculptures, and paintings in areas where duplicates spend most of their time is an easy way to keep their stress levels low. These locations can include workstations, dining rooms, bedrooms, and bathrooms. You can even convert some areas into “relaxation chambers” where dupes can go to enjoy their food, get a massage, or even sleep. Never underestimate the power of quality food in Oxygen Not Included! This is one aspect that is easy to forget but with every cycle that passes, the expectation for quality food from your dupes will only get higher. You can’t get by on Mush bars and Lice loafs forever. Unlock the Cooking Station and make some BBQ. It’ll temporarily reduce athleticism in duplicates by -2 but will reduce stress by 15%. With all this information handy, you should be able to build the most productive and stress-free colony this side of space has ever seen. 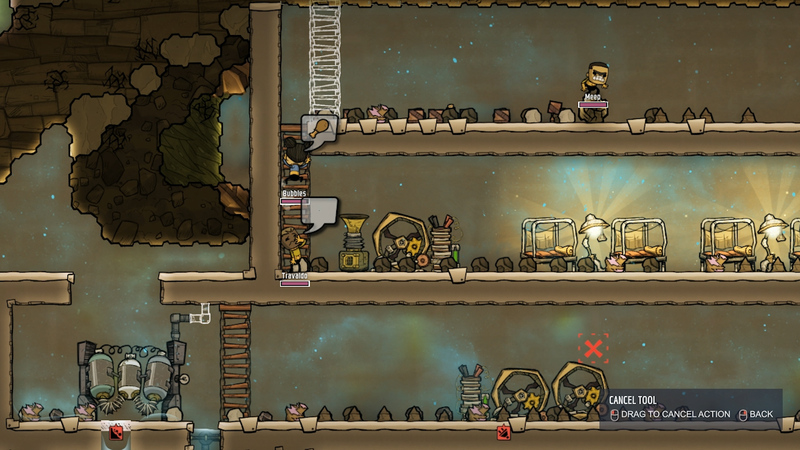 If you found this article about dealing with stress in Oxygen Not Included useful, then you might learn a thing or two with our guide to managing natural gas.